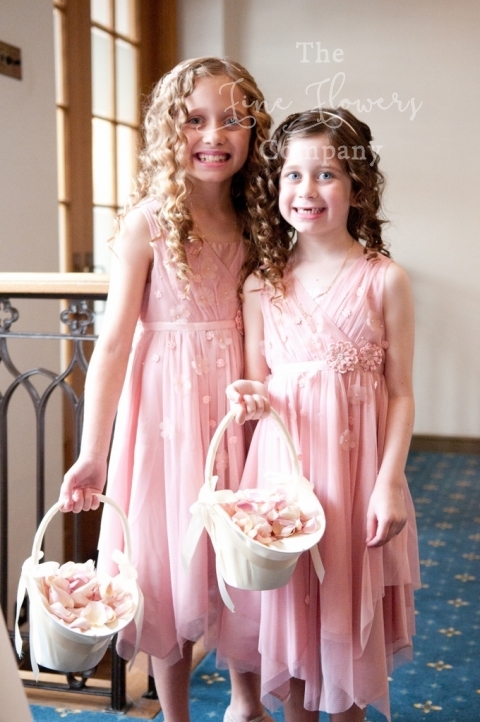 For this lovely summer 2014 Wentworth Golf Club wedding flowers post, we used a mellow & soft blend of ivory, vintage pinks and pinky lilacs, with elegant touches of silver, to echo the bridesmaids dresses in sage green and the flower girls dresses in pale dusky pink. Clare opted for a classic romantic tear drop bouquet which looked beautiful against her dress and veil. The venue was dressed simply but elegantly with tall silver vase centrepieces in the most, with a couple of low vases too, and all flowers were cleverly used for the ceremony as well as the wedding breakfast, for maximum impact for the budget. 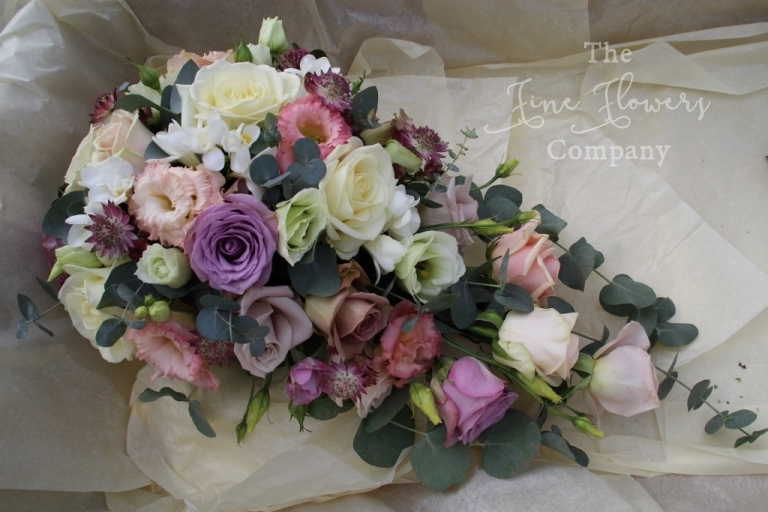 The mix of flowers included hydrangeas, dusky pink astrantia, vintage pink Amnesia and Memory Lane roses, pale pink Sweet Avalanche, Safi and Mentha roses and ivory and cream Avalanche and Talea roses. All foliage was kept muted, with silvery tones of eucalyptus, which created a softer contrast with the muted shades of the flowers. For this Wentworth Golf Club wedding we dressed the ceremony table with two of the low centrepieces, connected by lots of petal scatter, and used the long & low display on the lecturn, framing the ceremony with two of the tall guest table centrepieces on our tall plinths. All was then moved to the ballroom where it looked stunning under the special lighting, and created much needed impact high up. 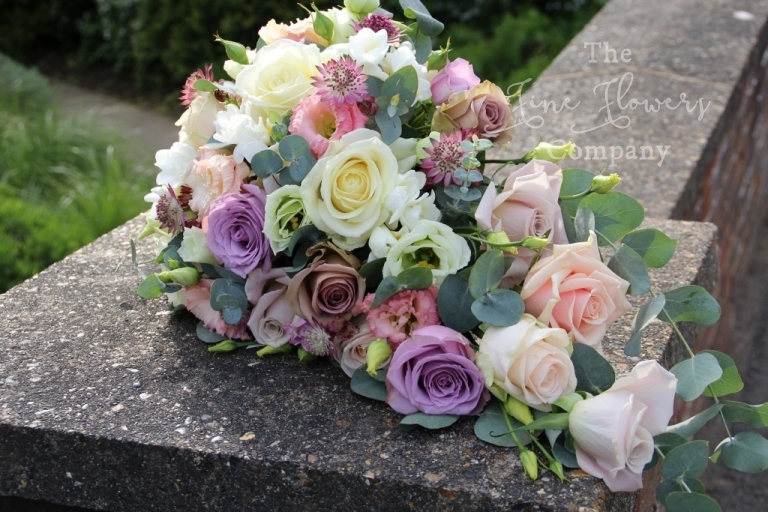 We are very local to Wentworth Golf Club and have arranged many beautiful weddings here in the past so if you are planning your Wentworth Golf Club wedding flowers, we would be delighted to hear from you. 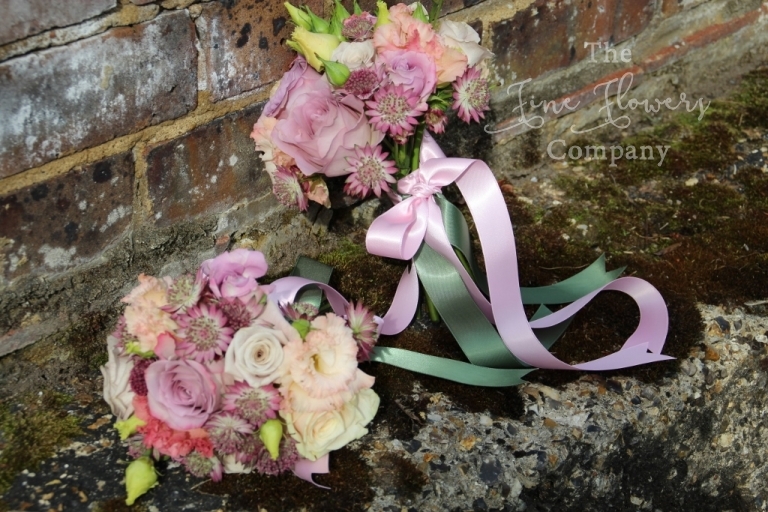 Please check out our other Wentworth Golf Club wedding flowers from featured weddings – click here.